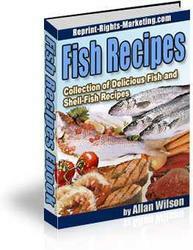 Actually, you have a number of options, and the best one to use depends on whether or not you plan on keeping the fish. First, in either event, try tricking the hook out. While holding the fish gently but firmly, pulldon't yankon the line at various angles around the fish's mouth. Sometimes the hook will pop out of the fish, or at least become visible, when you do this. If this doesn't work and you intend to keep the fish, you can kill the fish by bending its head back and breaking its neck, or by rapping its head with a wooden dowel or some other heavy item (some anglers carry fish billies for this purpose). Then you can dig deeply with your pliers and your knife if necessary to remove the hook. 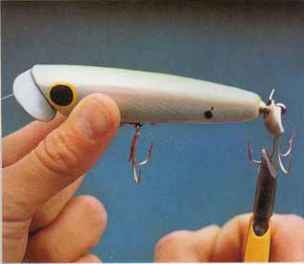 Or, you can simply cut the line near the fish's mouth and retrieve the hook at your leisure when cleaning the fish. Of course, this means that you'll have to retie a hook onto your line. If the fish is too small to keep, either for legal reasons or because you don't intend to eat it, cut the line as short as possibletry to cut it inside the fish's mouthand put it gently back in the water (more on this later). A fish that is otherwise in seemingly good condition stands a fair chance of recovery, even with a hook inside it. The hook will eventually rust and decompose. However, to decrease the odds of deeply hooking another fish that you don't intend to keep, tie on a larger hook, which will be more difficult for the fish to swallow. There are many reasons for anglers to put fish back: The fish is smaller than the minimum size required by state law, or the fish is legal size but too small for the angler to bother cleaning, or the angler doesn't care for the taste of that particular species, or the angler is fishing just for the enjoyment of hooking and playing fish. Obviously it's important to do the least harm to the fish, so it can survive, grow bigger, and provide more sport another day. Certain practices help make this feasible. The less you handle the fish, the better its chances of survival. The slime on a fish protects it from infection, and handling fish removes some of the slime. 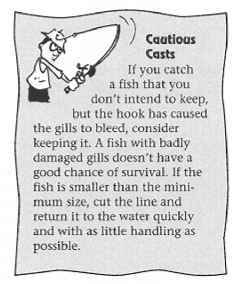 If possible, don't even net the fish or lift it out of the water. Play the fish until it's subdued, reel it close, and remove the hook with your fingers or pliers, with only the fish's head sticking out of the water.